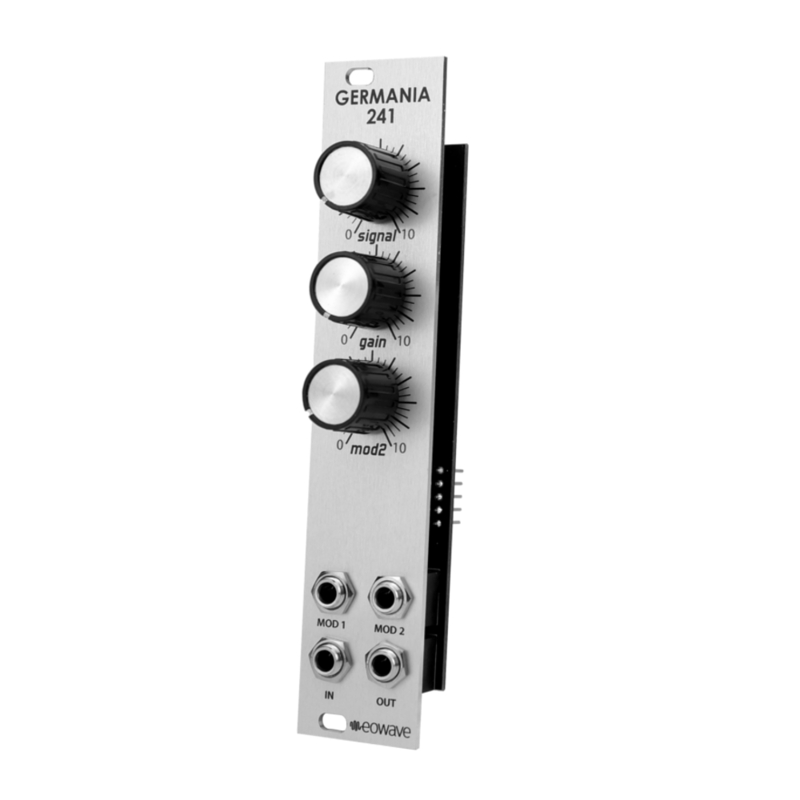 GERMANIA 241 is a germanium transistor voltage controlled amplifier simulating the crossing of the belt of asteroids Germania 241. The germanium transistor will add this particular distorted sound made by the speed of asteroids. Germanium transistors stocks are limited and may have different origins. Note that this module is a limited edition and that the sound can differ from one module to another.